Apologies to my oversea readers (I promise I will do a giveaway for you soon) but this giveaway is only open to residents of the Uk & Ireland. If you would like to be in with a chance of getting your hands on this belated christmas gift from me to you just enter the rafflecopter widget below. - once package is posted I have no control over it, if lost in post (lets hope that doesn't happen) I am not reliable for it. - winner will be contacted through email, if after 48 hours there is no answer a new winner will be chosen. Lovely giveaway! By the way I love the Thumper pillow in the background! I would love to try the Botanics Radiance Balm, I've heard you mention it a few times and it sounds great! Would've loved to enter your giveaway, but I totally understand that you won't ship overseas. That stuff is pricey! But it's a really nice giveaway with great things! Good luck to everyone entering! Also, congrats on the new name! This is such a brilliant giveaway! 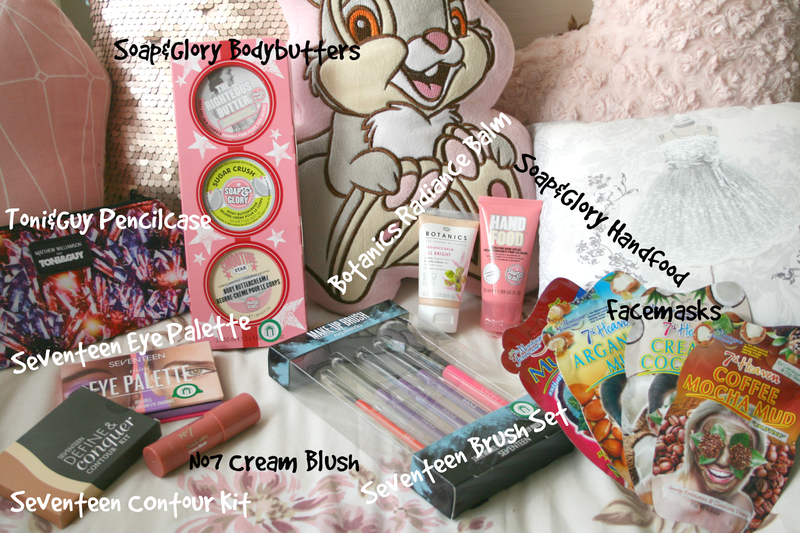 I would love to try the Soap and Glory Body Butter Set, they look fab, I love Soap and Glory products! What an amazing giveaway! I'd love to try the contour set. Aw what a lovely giveaway so nice of you! I would love to win the seventeen contour kit having heard such amazing things! 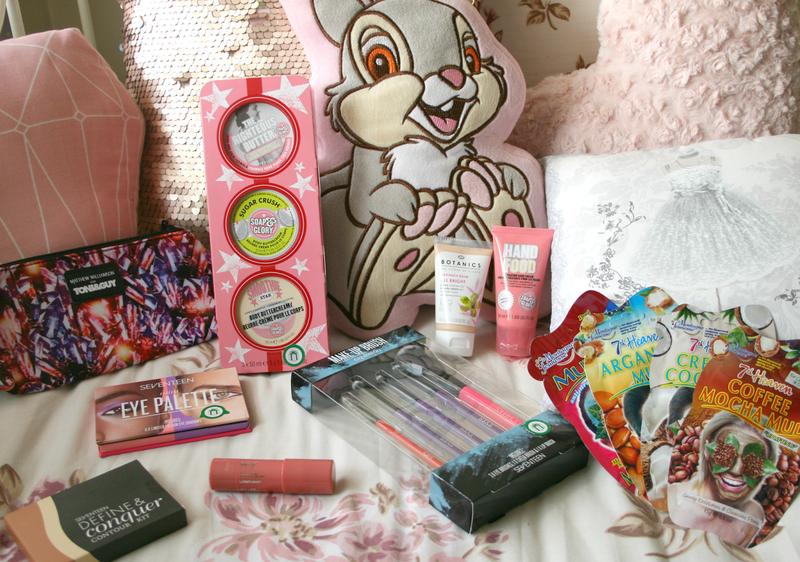 Lovely giveaway, so many things I would like to win, but probably the seventeen contour kit as I know everyone loves it! Great giveaway - I've entered! I love the look of the contour set! This is an amazing giveaway! I'd love to try the brushes!